The Under Armour Cooperstown Classic (UACC) is an event proposed to Notre Dame baseball and the National Baseball Hall of Fame. The Hall sought a 'shoulder season' baseball event for Cooperstown in the fall. The UACC leverages existing relationships by featuring four Under Armour-affiliated teams. Cast as a modern classic, the UACC’s visual language speaks to the athletic aesthetic of the early-to-mid 20th century. The UACC logo grounds the event in feelings of baseball as it once was. World Series logos of old served as inspiration. The ticket designs highlight the logo AND incorporate vintage baseball photography. 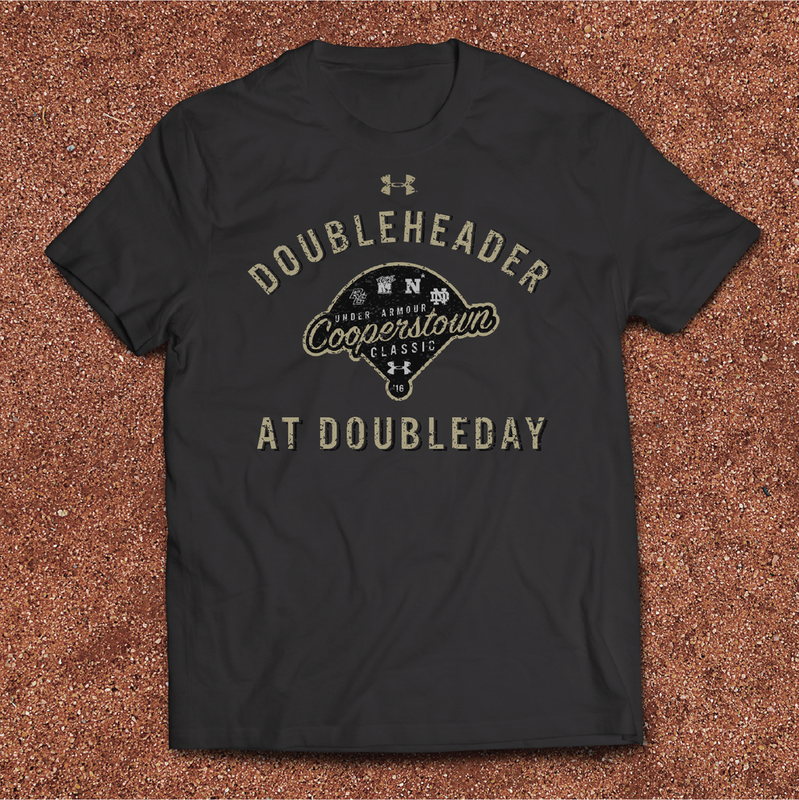 the event is built to be a one-day doubleheader hosted at historic doubleday field in cooperstown, NY. Historic MLB uniforms for the basis for the event's on-field apparel. Boston College dons pinstripes inspired by the 1937 Boston Bees. Maryland's flannel grays pull from the 1910 Washington Senators. Navy's minimal uniform puts a new spin on the 1901 Baltimore Orioles. The socks boast their signature six stripes, representing the Navy's six founding frigates. Notre Dame opts for a 1969 Oakland A's specialty, all gold. The Oakland A's then-owner living in LaPorte, IN justifies the Irish look. The patch placement is even period-accurate.